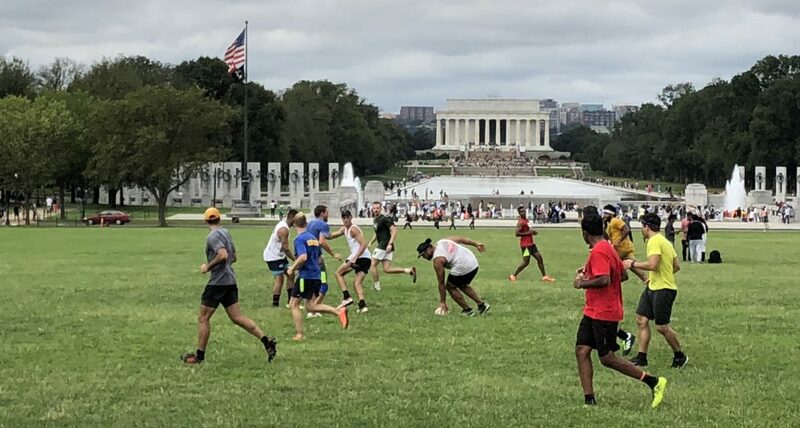 We’re on for touch tomorrow at 6:00 p.m., at 15th and Independence. Ball and cones needed. Couple guys in town for touch Saturday , we on ?